In the dark, in the late hours of a cold April night, I distinctly remember the pain in my legs, the voice telling me to stop and the bigger voice telling me that I had to finish. I couldn’t give up, after all, I was challenging myself by running the longest distance I had ever ran. I was determined to finish to raise the money for school supplies at a school in Ghana. It was my birthday, I was determined to finish this half marathon and I knew I would succeed. As I have been reflecting on my 24th year of life, that evening continues to come back to me. I challenged myself to be my best, to finish those 60 laps no matter what anyone said. And in those quiet evening hours, with nothing but the noise of my lungs and my shoes striking the turf, I realized a lot about who I am and what I truly live for. I believe that pushing myself to this deep and painful state of exhaustion allowed me to be a better man. I guess you could say I brought my 24th year in with a bang! As 25 approaches I am realizing I need to set my fitness bar higher. My fitness has reached an enormous pinnacle fabricated from hard work and many hours scaffolding myself through exercise. With this in mind, I have decided to dedicate the 25th year of my life to building towards my genetic potential through relative strength and endurance training. What does that mean, you ask? It means that I am going to challenge myself to be the fittest 25 year old I know. Not because I have to, but because I want to. Fitness is my why. S- specific. My genetic potential will be measured based on my height to weight ratio and validated by what I should be able to lift on my bench, squat and dead lifts all on the same day. Along with this, I am striving to run a 4:40 mile and cycle 15 miles in one hour. M- measurable. I am going to compete in at least one large fitness competition in my 25th year. 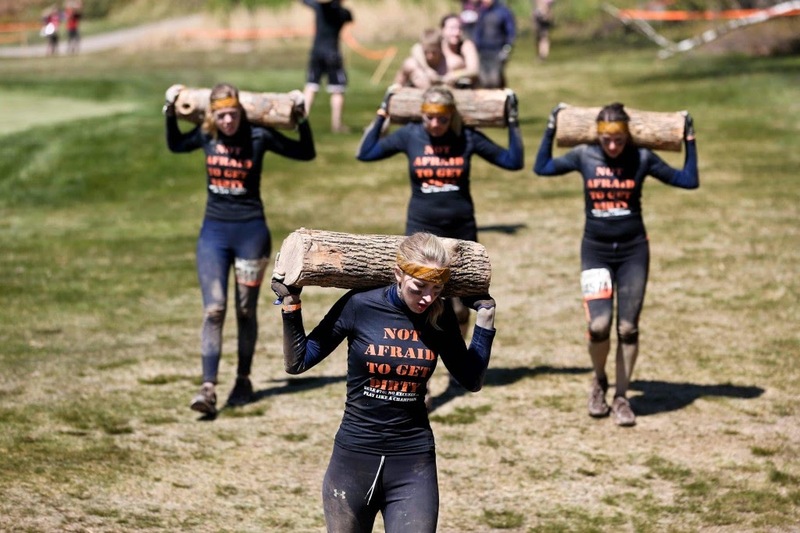 I am going to run a Tough Mudder Event in Virginia this June. I am also going to run a 5 mile road race this summer in Raleigh. How I measure up in these fitness tests will prepare me for my 26th year goal of competing in a 2015 Men’s Health Ubanathlon in New York, NY. A- attainable. Of course this is attainable. It is MY genetic potential. I am competing against myself to be the best athlete I can be through wise, functional training. R- realistic. This can be realistic to everyone because of how subjective it is. However, this is something I need to make a reality in my own life. I will prove this at the gym and through my competition measurements. If you want to see me in action, I will meet you at the squat rack. T- trackable. I plan to track my goals through a periodized split peak workout plan. After 6 weeks, I will be tracking my results from my lifts and putting them into the planning for my next 6 weeks. In this phase I will be adding elevation HIIT training sessions as well as more Plyometric and functional exercises outdoors. I have developed a program that works for me which balances strength, endurance flexibility and functionality. I will be able to see the results from my first 6 weeks easily through lifting gains and DeXa testing for specific body fat percentage measurements. I am also going to be tracking my muscle mass to body weight ratio, bone density, hydration levels and metabolic age. I will also be use the Karvonen Formula to track my HR and doing regular blood work tests to make sure I am getting sufficient nutrient intake given my training regime. The ultimate goal of this program I have put together is to be the fittest, most functional 25 year old male I know who is 5’9 and between 155-165 lbs. If you would like to ask me any questions about my training feel free to tweet me @wellnessrf. 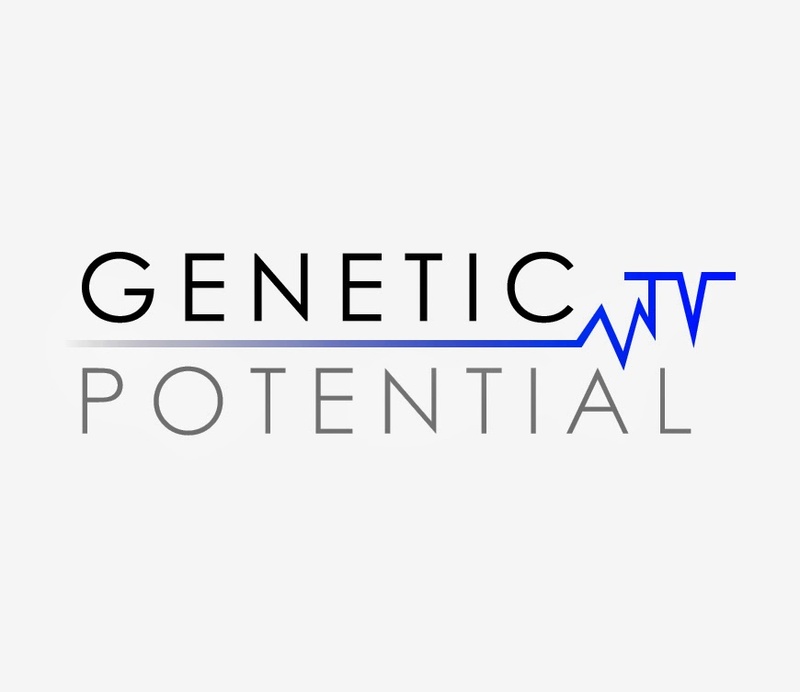 This is the first of a series of blogs regarding my Genetic Potential challenge. Recently I have seen so many wellness companies directly associate themselves with a large supplement company. The more I expose myself to the fitness industry, the more I become blown away by the amount of money people are throwing away on illegitimate supplements for the ‘idea of wellness’. They are seeking the 'flow' of physical activity without understanding it is intrinsic, not always extrinsic. With this in mind, I have decided to continue on the path I was born to be on. Each day I am going to continue to focus my frugal and logical decisions that define my personal wellness. I am going to continue to push my limits through smarter workouts and even better personal nutrition standards. Simply put, I am striving for my Genetic Potential. What is genetic potential, you ask? Although this definition can read as vague, I believe that each one of us can reach our genetic potential. I believe it is a feeling which accompanies high level performance more than anything else. I also think it is like having a full ‘virtual knapsack’ as a trainer. I think that we have developed neat ways of challenging our bodies to new standards based on advancements in both technology and science. An example of an athlete who functioned at his ‘sport specific’ Genetic Potential for years (prior to doping) was Lance Armstrong. He was a fine tuned machine who combined specific training and nutrition, along with his innate genetic endowment, to become his greatest potential. However, we all know where that eventually led him. Don’t worry, I will not be injecting myself with drugs from syringes in Coca Cola cans when I start training hard like Lance did. As a personal trainer who focuses primarily on injury prevention and functionality, I am fascinated by relative strength. Relative strength can be defined as the maximum force exerted in relation to body weight or muscle size. Being 159 lbs, I continue to push my strength limits without compromising functionality and risk of injury. Given my ways of training, I am going to use my relative strength and aerobic gains to measure up to my overall Genetic Potential. Now, you are probably thinking, “Ryan, I am confused”. That is ok! This can become verbose. Just know that each of you can train effectively and adopt my training philosophies for your best health and well being. You don’t need to buy anything (other than good workout/running shoes). Feel free to contact me if you want to learn more about my personal relative strength training and Genetic Potential plan! Piezo Pedometers are something you may overlook. They are not as flashy as the iPhone 5s or even as the tablet you have blanketed in a COACH case. But, they may be more valuable than both of those items combined. I typically do not promote products on my blog as a freelance writer. However, I must say that the folks at StepsCount share my philosophies and vision surrounding movement and a healthier society. They are passion driven and create great products which suit my active lifestyle. Piezo Pedometers are the product of a Canadian company who are doing big things in an increasingly monopolized ‘wellness hungry’ western world. The company not only shares a solid mission statement and software which promotes effective use of personalized data, they also share a vision for a healthier society. Their pedometer systems are small, simple, durable and affordable. Steve Jobs believed that his products should display simplicity as he once said, “Simplicity is the highest form of sophistication”. StepsCount shares that design ideology and it shows in the practicality of their Piezo systems. Now, you are probably thinking, “Ryan, who cares? Why would I wear one of these pedometers anyway?” Let me explain. First, having a personal trainer on your waist never killed anybody. As a matter of fact, wearing a Piezo system actually reminds you of how active you are each day, which can add years to your life. The basic Piezo systems require no effort at all. Simply clip it on your waist, (you’ll notice it is far less bulky than the phone and tablet cases!) reset it from the previous day and then check it when you take it off before bed. If you wear underwear, you can wear a Piezo system. No excuses. Second, its human nature. I took a couple courses in human nature while at St.FX and I will defend this fact to my death. Humans are built to move. It is a fact. For centuries we hunted large beasts and chased down our food. We also wandered the forests for fruit to nourish our bodies. It is human nature as a bipedal species to move. Now that you have accepted that fact, why not track that movement each day by wearing a Piezo Pedometer? Visit StepsCount.com! Finally, its different. We live in a society today, in North America, that thrives on mystery and excitement. Businesses are almost quarterly bringing out new soft drink flavours, speciality coffee’s, etc. all aimed to excite you into purchasing those products. Knowing this, I have been wearing my Piezo Pedometer for a few months now. I have worn it on my waist while wearing dress pants, presenting at conferences and hosting workshops surrounding physical literacy. And you know what? It always sparks conversation! People may first think it is strange that you are wearing something on your waist (if they even notice at all), but once that awkward thinking passes, it generates a level of questioning and learning, which translates into new acquaintances. I challenge you to wear it at the gym, at your school while you teach, or at the office and let me know what happens!